UFO sightings are a dime a dozen these days and they have been for a while, but back in December, the New York Times released the results of an investigation into the US military’s monitoring of UFO claims and came up with something totally wild. It was a video released by the Pentagon that shows US Navy pilots tracking the movements of a totally unexplainable aircraft. Now, a local news team from Las Vegas has obtained a military report that offers even more details on the sighting and the story is somehow becoming even more bizarre than it already was. The report explains in great details how a US Navy aircraft carrier played a strange game of hide and seek with multiple Anomalous Aerial Vehicles (AAVs) that demonstrated flight characteristics that should be downright impossible to pull off. The sightings began on Nov. 10, 2004, and lasted for several days. The objects would appear on the carrier’s radar systems for short periods, seeming to hover still, and then fly off at high speeds. Confused by exactly what was going on, the crew decided to investigate. When the object appeared again a few days later, a pair of F/A-18Fs was directed to check out the strange signals. The result is the now-famous video showing the “Tic Tac”-shaped UFO cruising along at incredibly high speeds and making rapid changes in altitude. In the new report, the object is described as “solid white, smooth, with no edges” and being “uniformly colored with no nacelles, pylons, or wings.” The report says the object was estimated to be about 46 feet long. By comparison, the F/A-18 fighters that were trailing it measure around 56 feet long, meaning that whatever it was that the Navy spotted could feasibly hold one or more human-size individuals. Throughout the several days of seeing the object come and go, the Navy says it may have demonstrated the ability to “cloak” and disappear to the human eye. Its rapid descent from 60,000 feet to just 50 feet before disappearing also made officials consider the possibility that it was capable of operating underwater, effortlessly moving from the air to the sea at will. 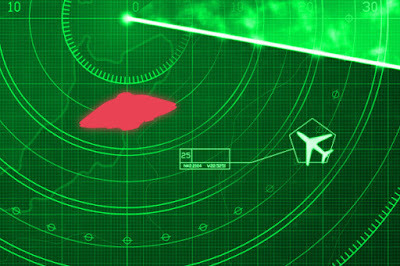 Pilots Encountering UFOs - Spacing Out!